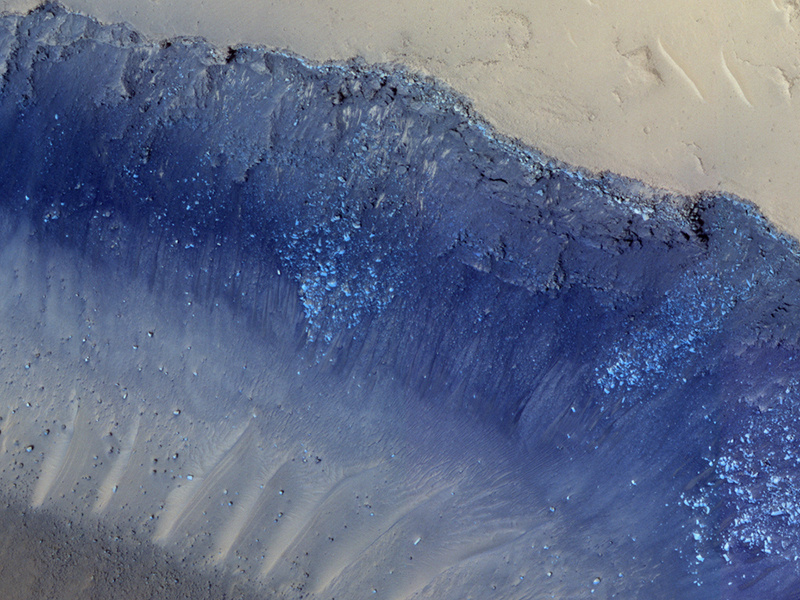 This image shows a cross-section of a complex crater in Terra Cimmeria. 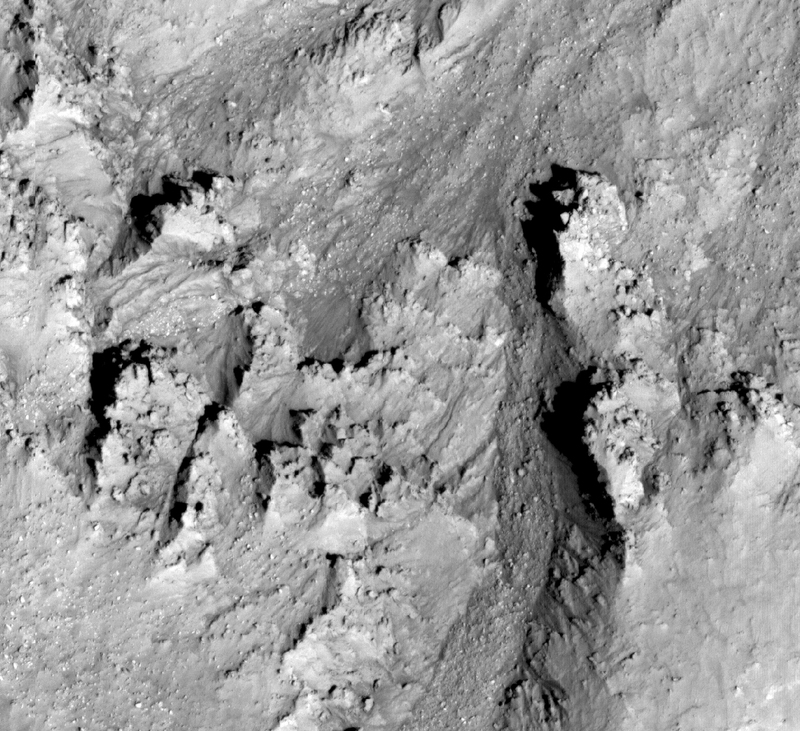 Starting in the center, we see a series of peaks with exposed bedrock. 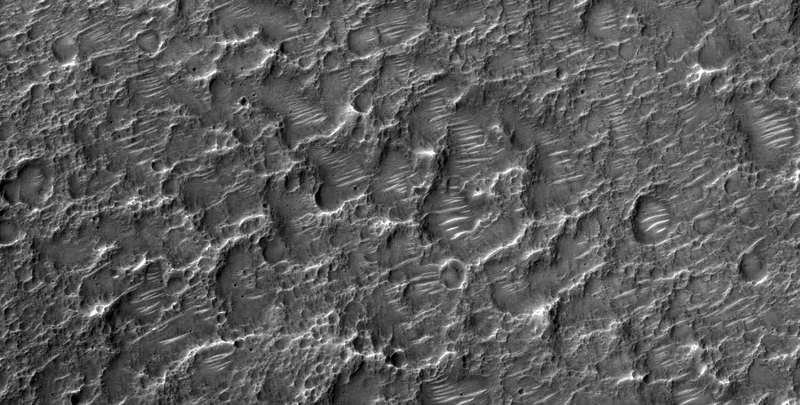 These peaks formed during the impact event when material that was originally several kilometers below the surface was uplifted and exposed. 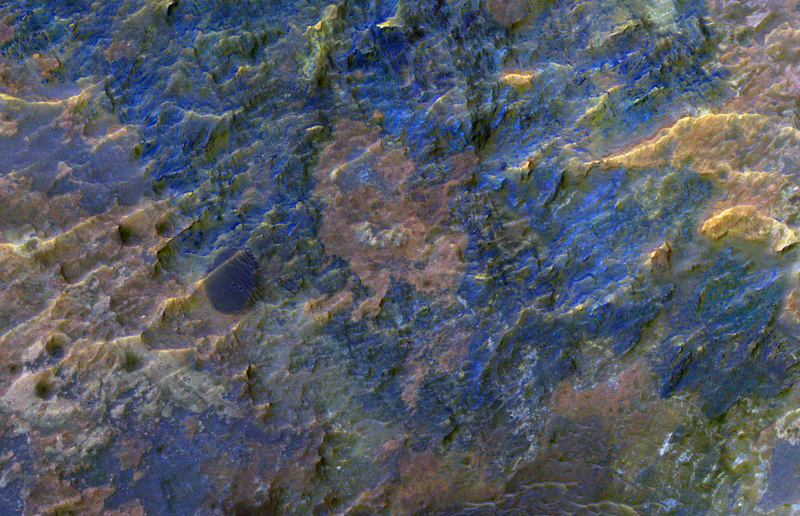 The impact also melted the rocks. 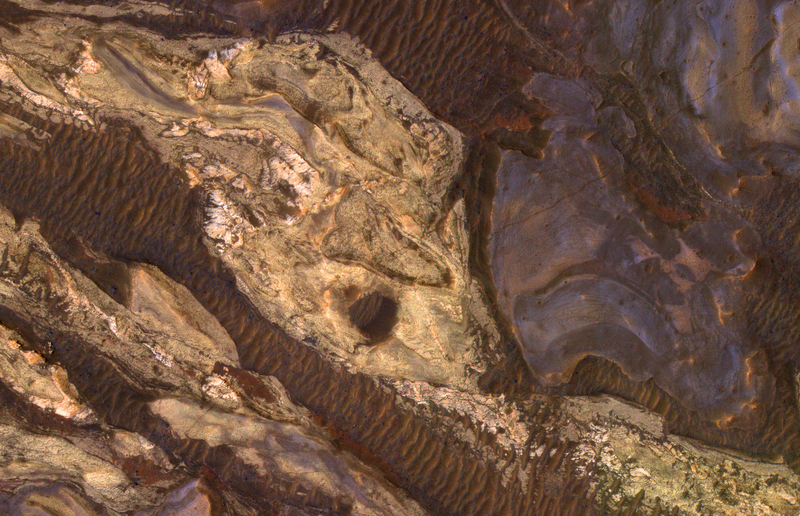 This eventually cooled, forming the pitted materials that coat the crater floor around the uplift. 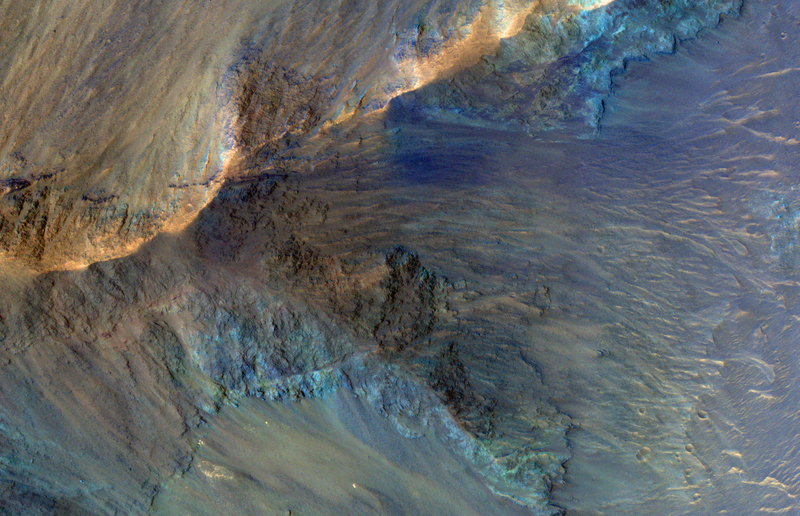 The rim of the crater was unstable, and collapsed inwards to form terraces, and we see additional pitted materials between the terraces and the rim. 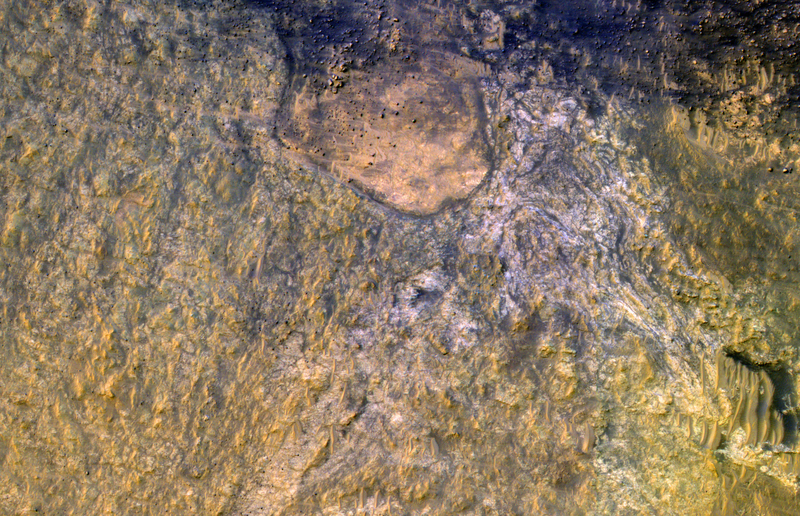 Just outside the crater we can see dark-toned material that was excavated and thrown out after the impact. 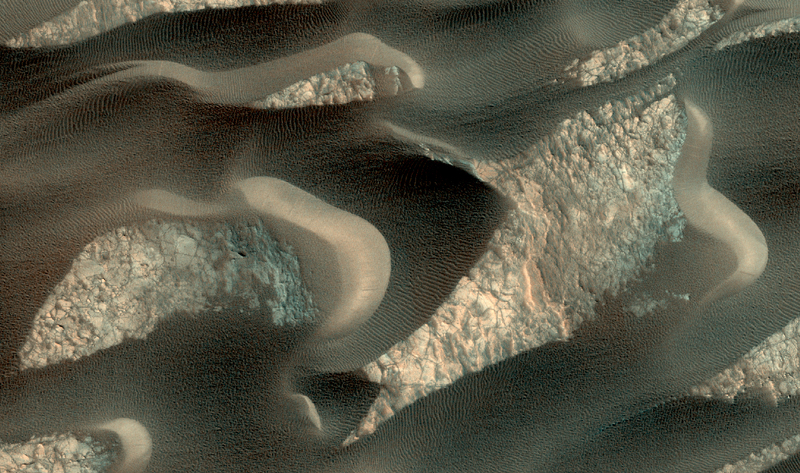 The most recent geologic features are the narrow sand dunes snaking across the top of all the rock. 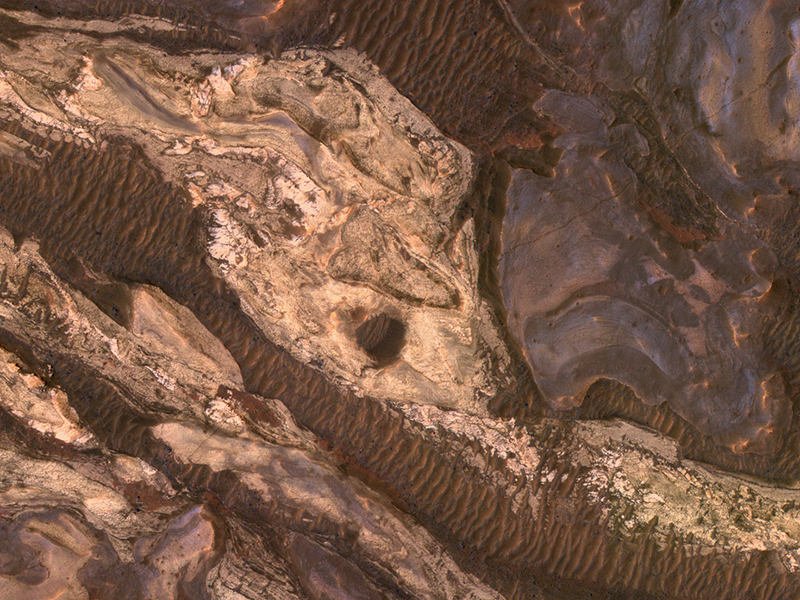 This part of Melas Chasma has been the target for many previous HiRISE images due to its diversity of terrains and materials. 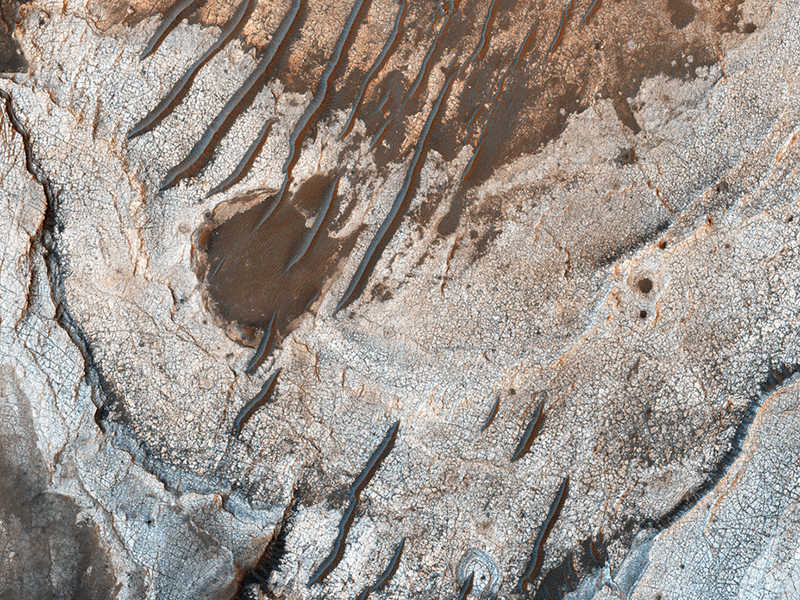 This observation covers an area not previously imaged, revealing a chaotic jumble of bright layered sediments, perhaps resulting from large landslides. 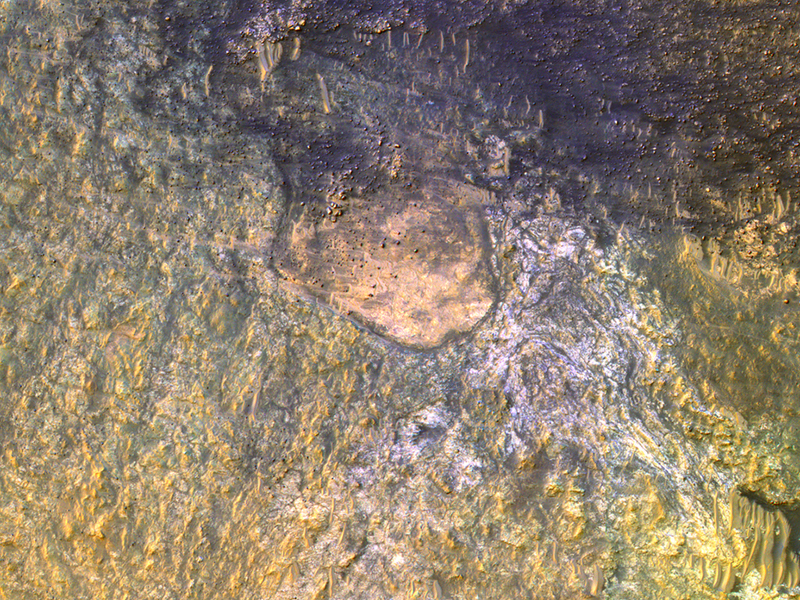 In a closeup with enhanced colors, we can see an assortment of materials. 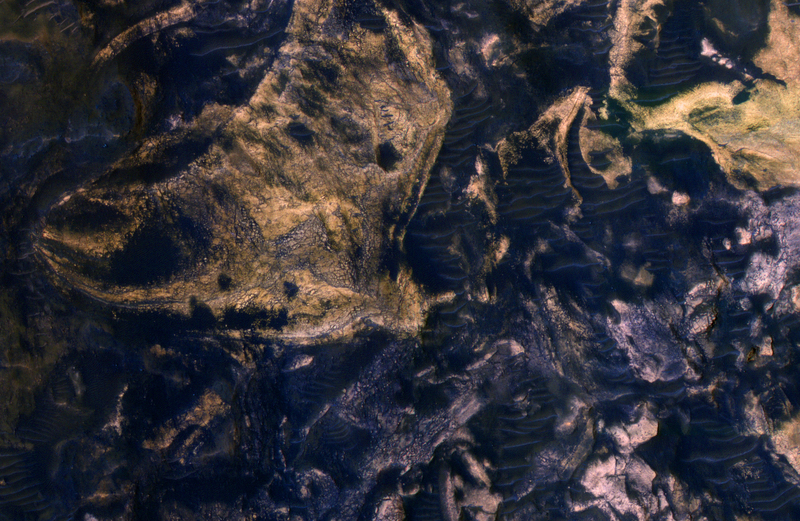 Dark sand covers the low areas of the scene. 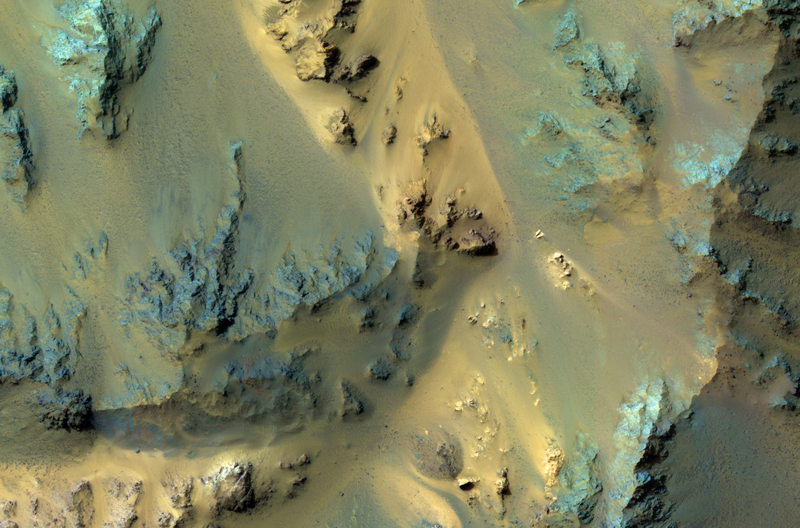 This image shows a recent impact in Noachis Terra in the southern mid-latitudes of Mars. 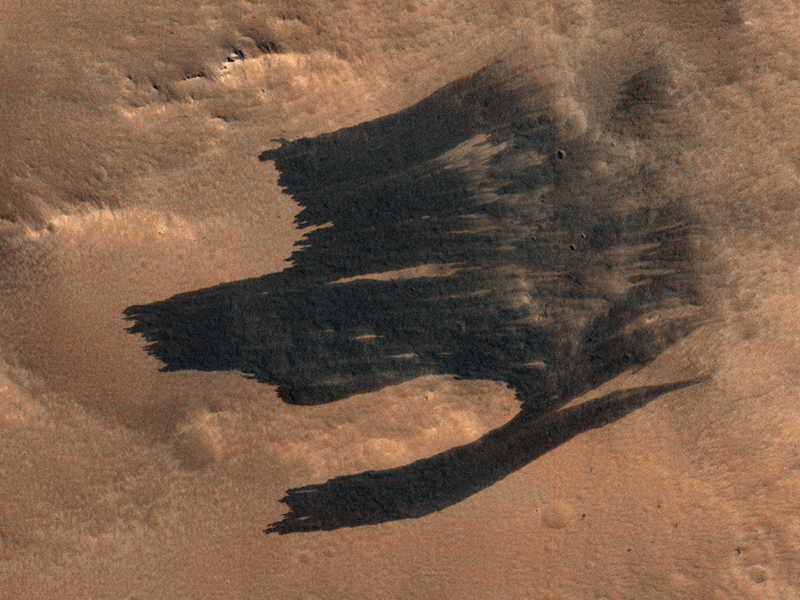 The impact occurred in dark-toned ejecta material from a degraded, 60-kilometer crater to the south. 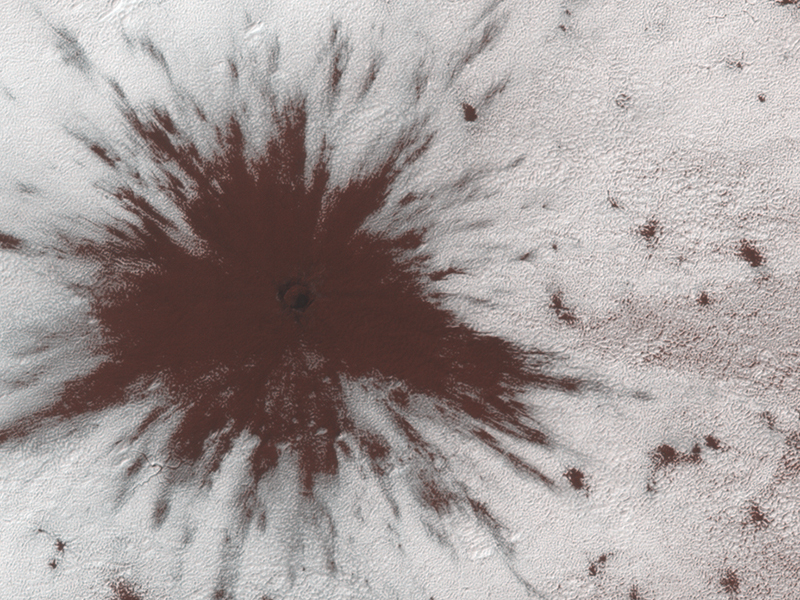 Rather than a single impact crater, we see multiple impacts like a shotgun blast. 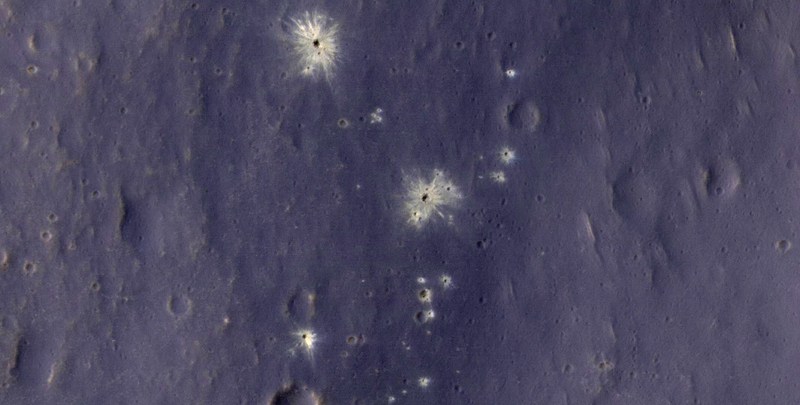 This suggests that the impactor broke up in the atmosphere on entry. 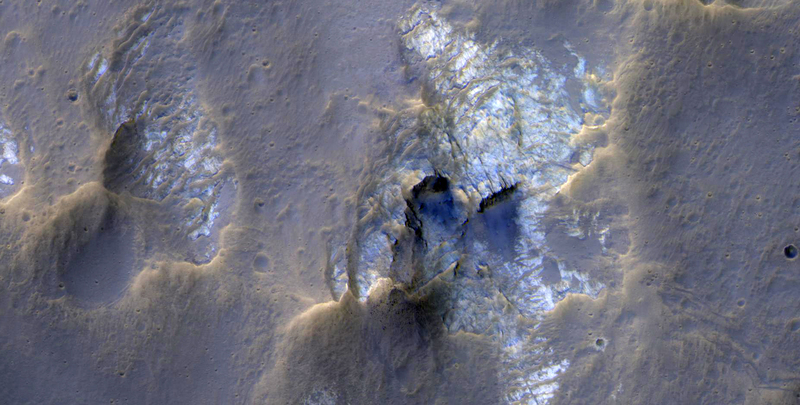 Although the atmosphere of Mars is thinner than Earth’s, it still has the capacity to break up small impactors, especially ones comprised of weaker materials, like a stony meteoroid versus a iron-nickel one. 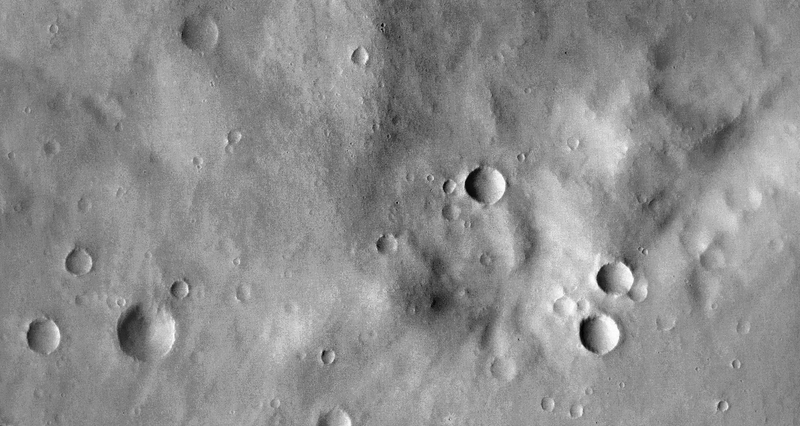 Our image depicts 21 distinctive craters ranging in size from 1 to 7 meters in diameter. 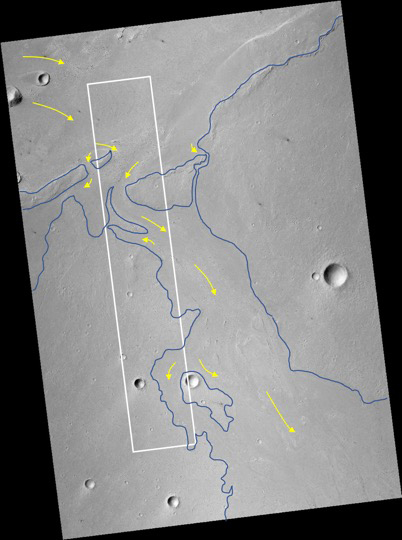 They are distributed over an area that spans about 305 meters. 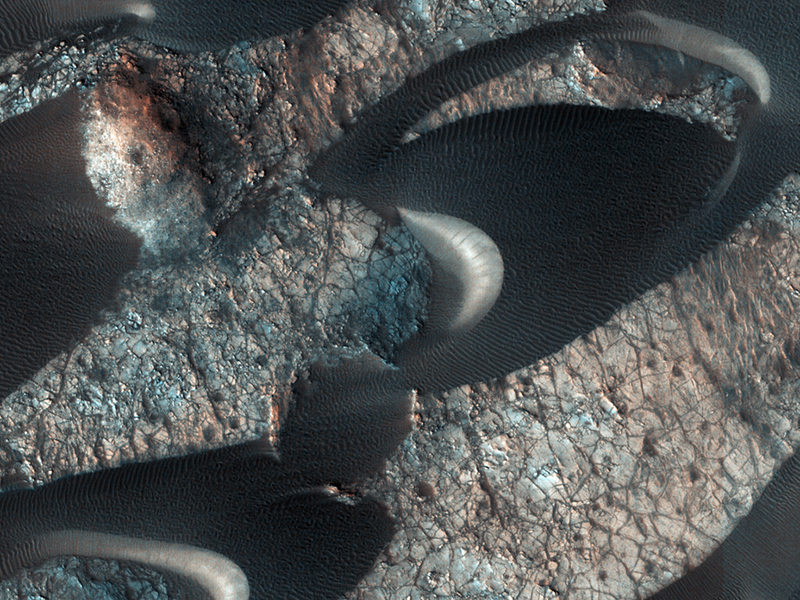 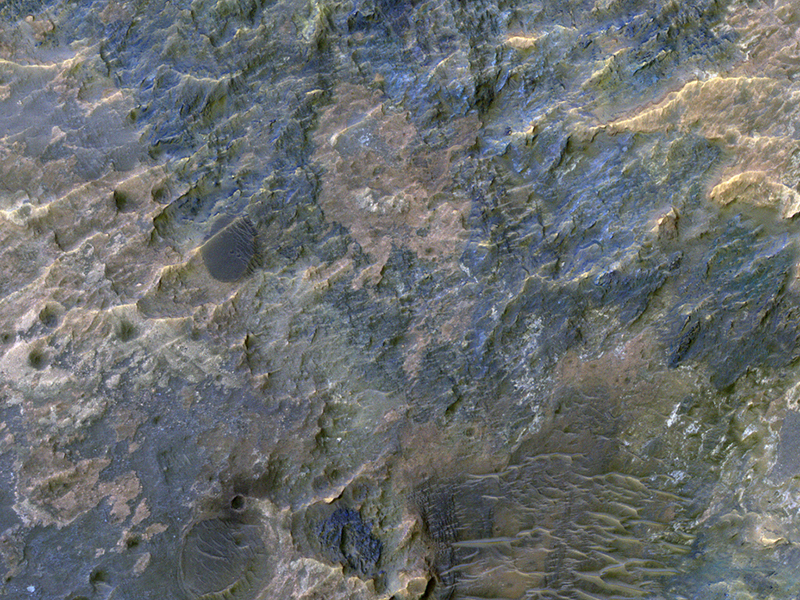 Most observed recent impacts expose darker-toned materials underlying bright dusty surfaces. 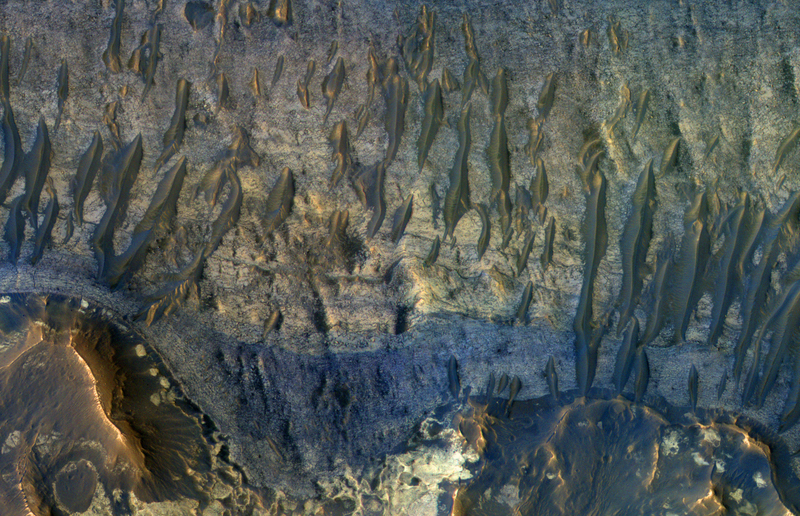 However, this impact does the opposite, showing us lighter-toned materials that lie beneath a darker colored surface. 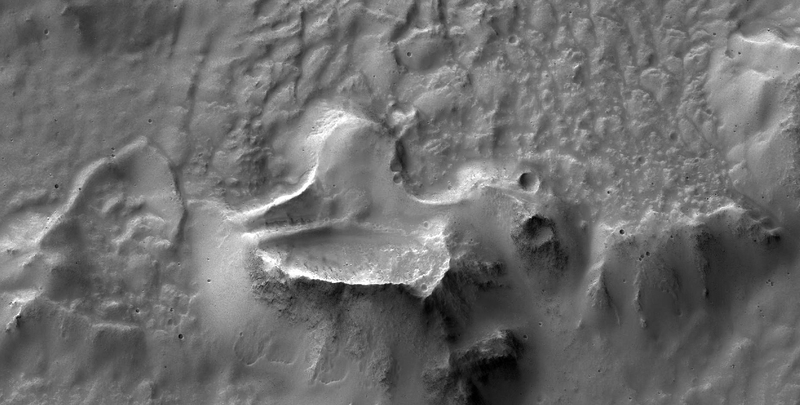 The impact was initially discovered in a 2016 Context Camera image, and was not seen in a 2009 picture. 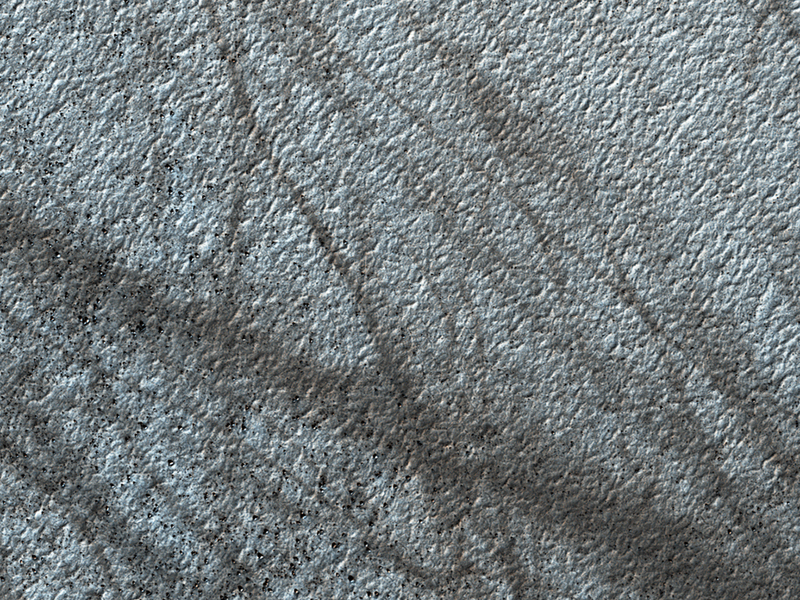 This implies that the impact may be only two years old, but certainly no more than nine years. 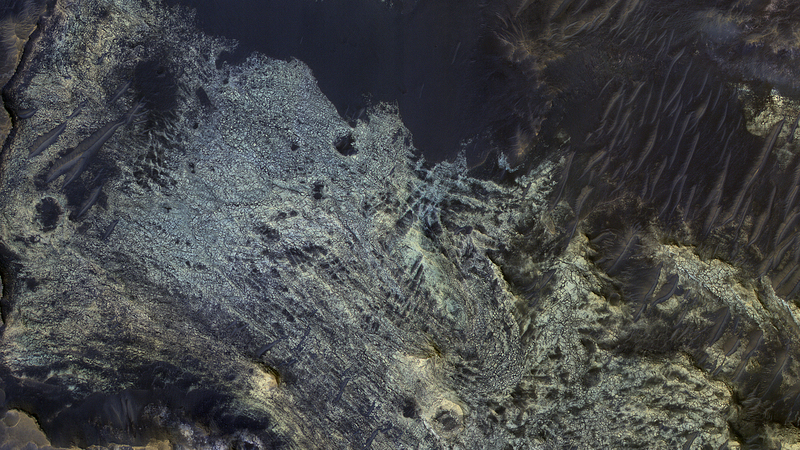 This is a stereo pair with ESP_049175_1490. 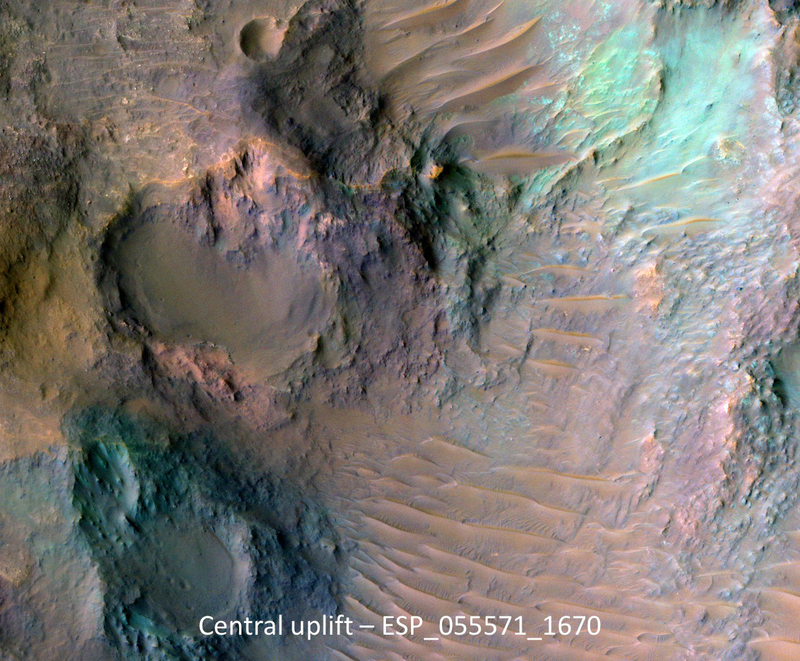 This image was taken of the hills that resulted from uplifted rocks due to an impact that formed the 230-kilometer diameter Galle Crater. 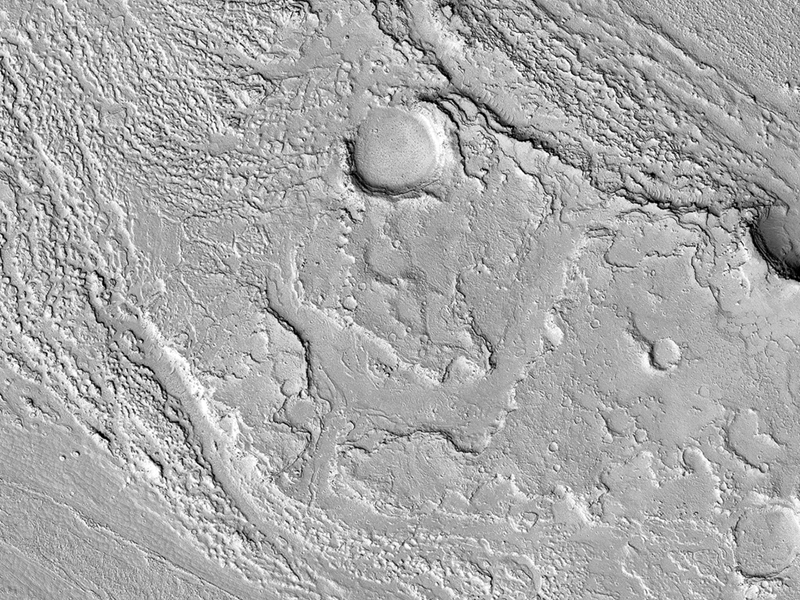 These hills form a segment of a circle known as a “peak ring” and this particular formation makes Galle Crater look like a “smiley face” from orbit. 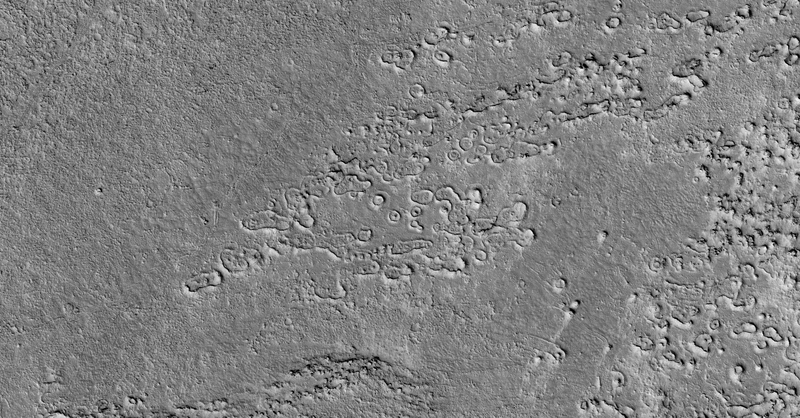 The small channels in these gullies are easily erased by the wind over long time periods, so we know these gullies must have been active recently. 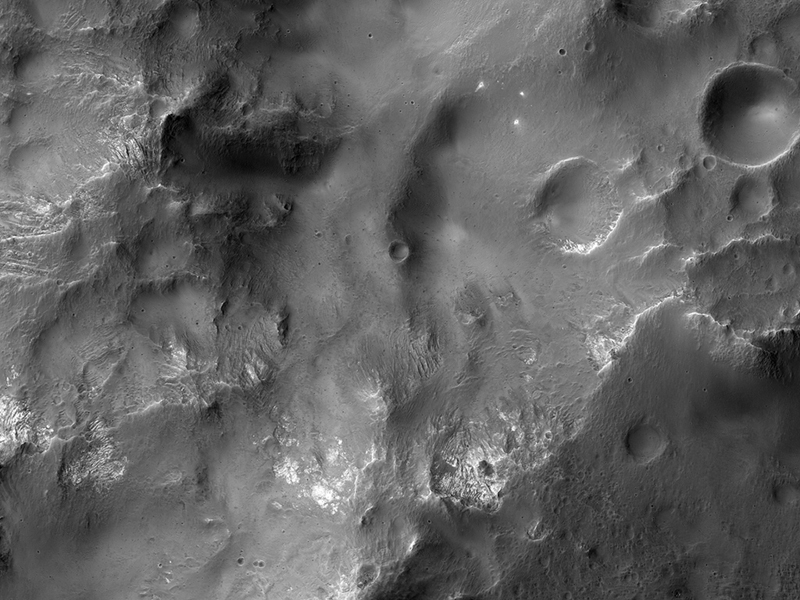 This image covers the western portion of a well-preserved (recent) impact crater in Ladon Basin. 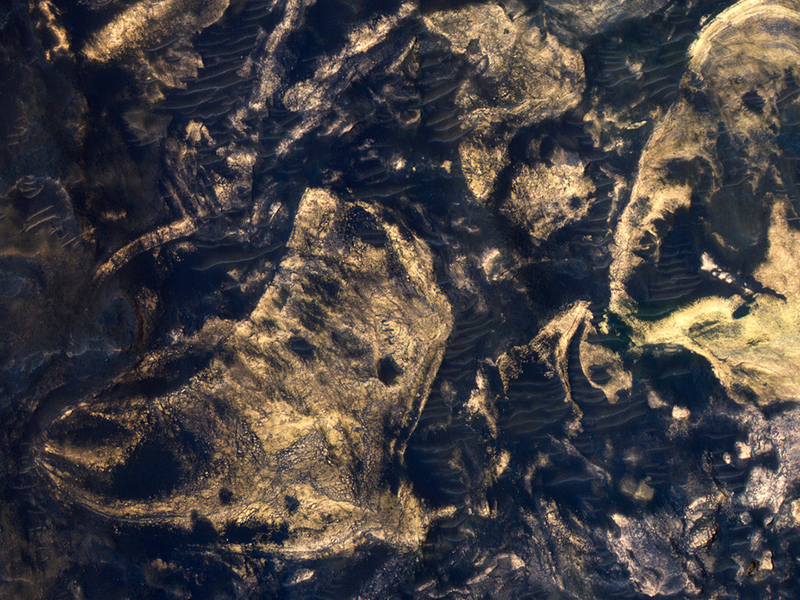 Ladon is filled by diverse materials including chemically-altered sediments and unaltered lava, so the impact event ejected and deposited a wide range of elements. 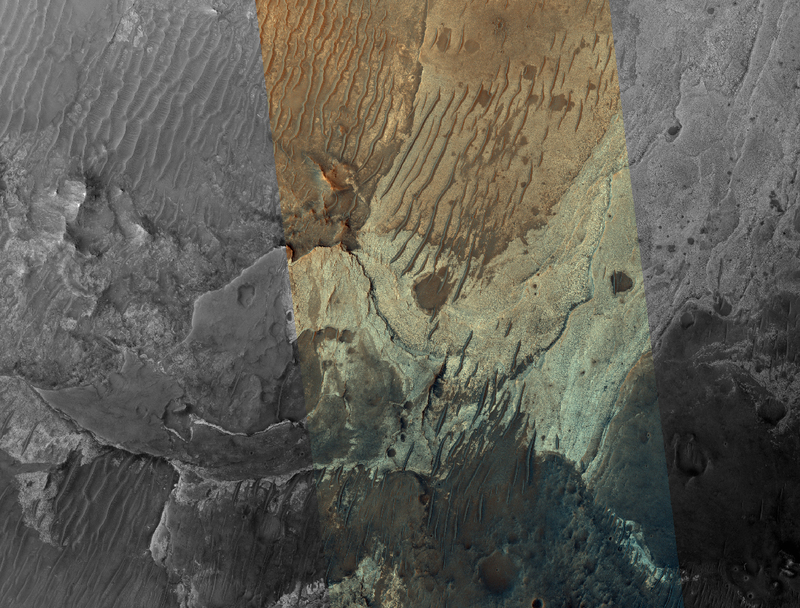 This image is the first of a pair of images for stereo coverage, so check out the stereo anaglyph when completed. 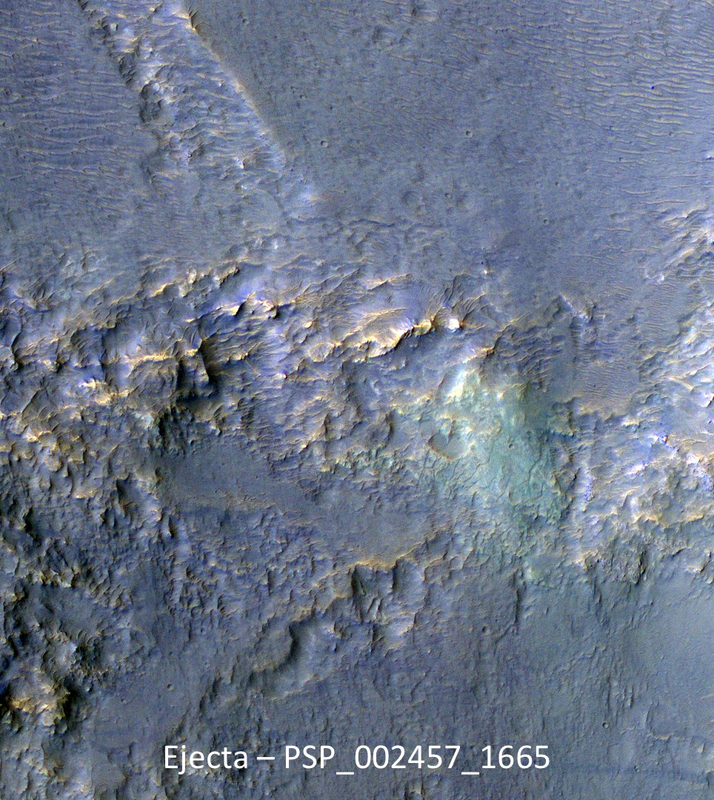 This is a stereo pair with ESP_058182_2060. 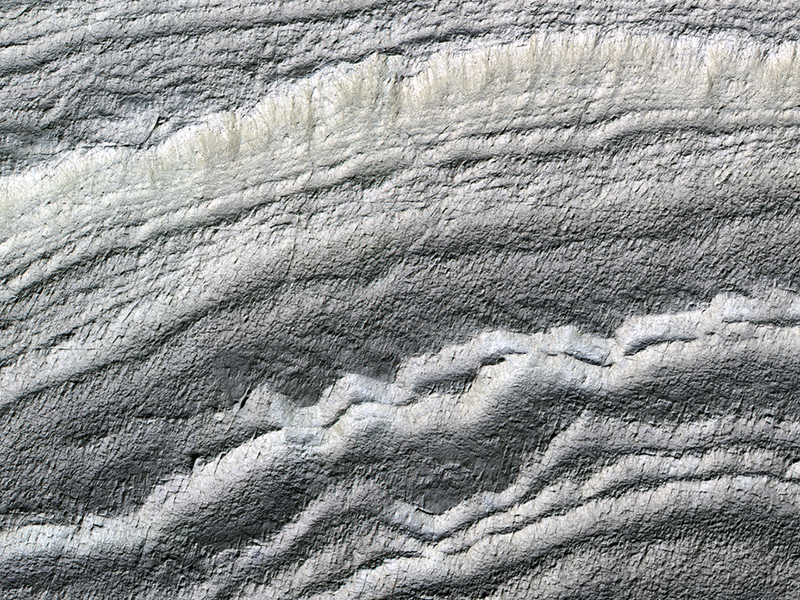 Most gullies in the southern mid-latitudes are on south-facing slopes, which are the coldest and have the most frost in the winter. 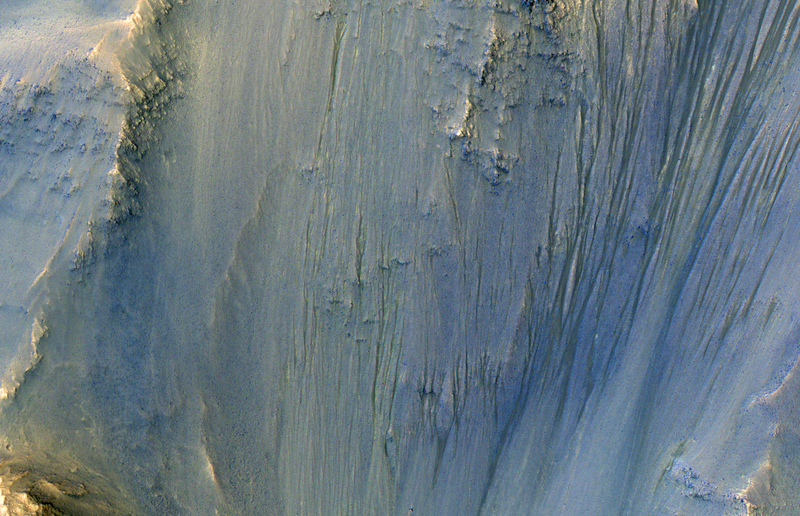 However, some occur on other slopes. 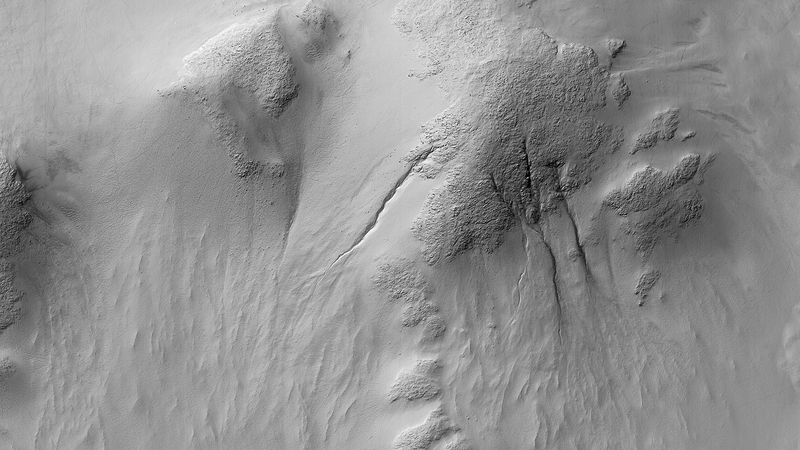 This image shows large gullies on both the pole- and equator-facing slopes. 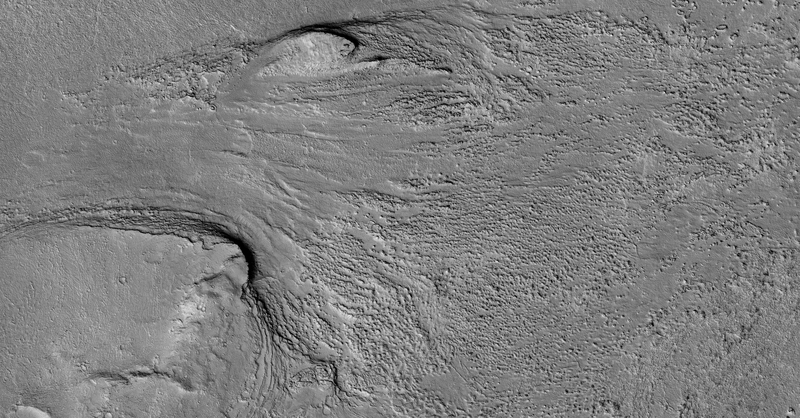 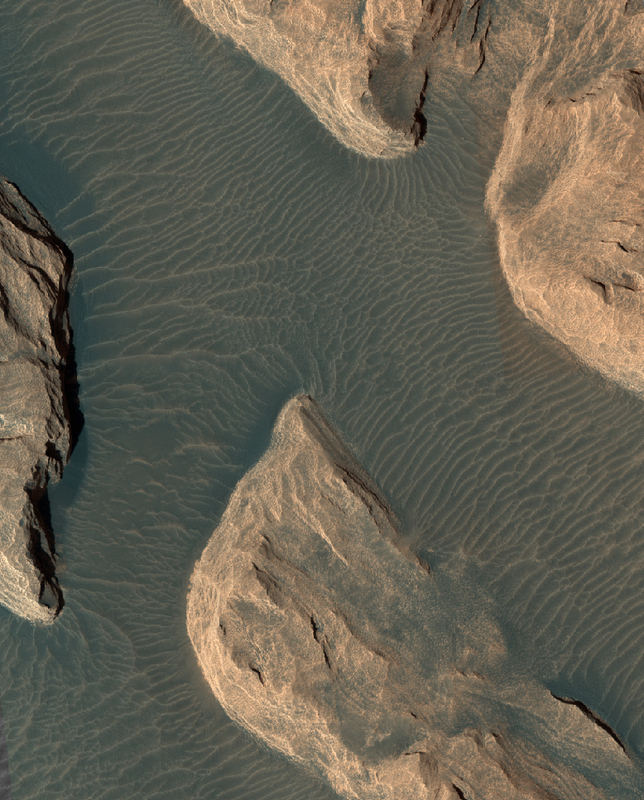 An important puzzle in Mars science is whether or not all of these gullies form in the same geologic eras and by the same processes. 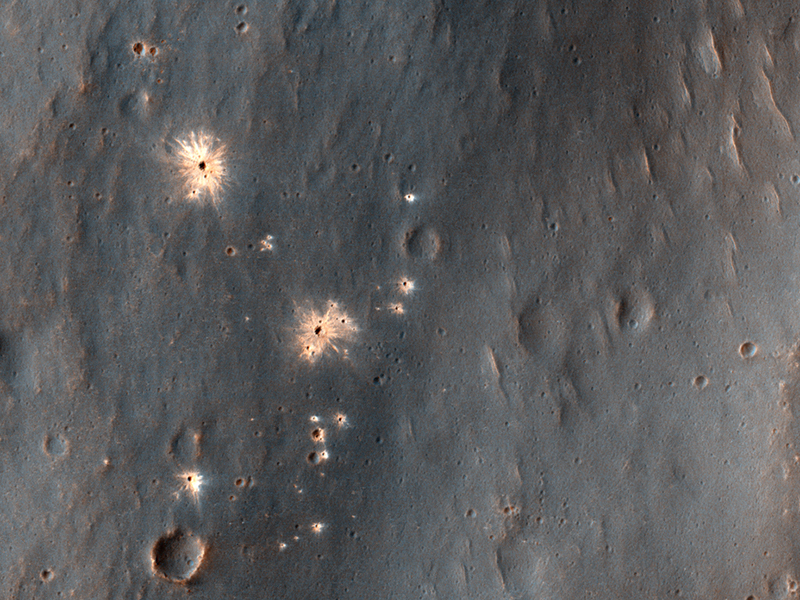 If you have red/green glasses, be sure to check out the anaglyph of this crater, which shows rugged topography! 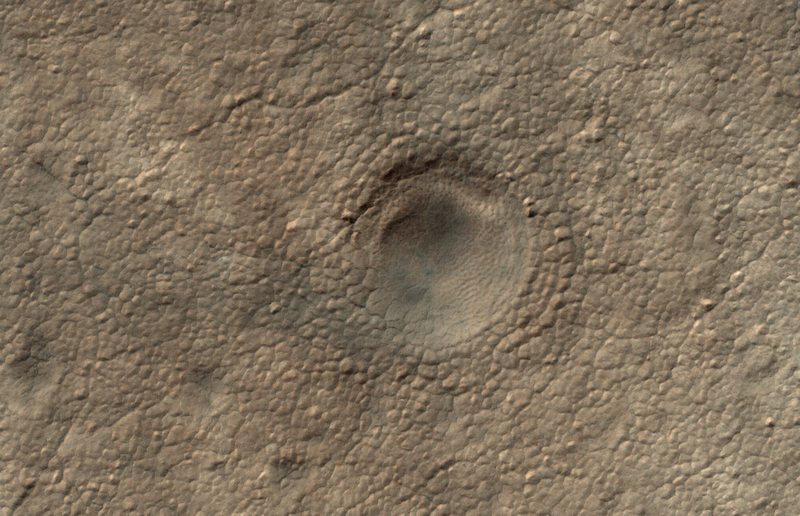 This is a stereo pair with ESP_057700_1415. 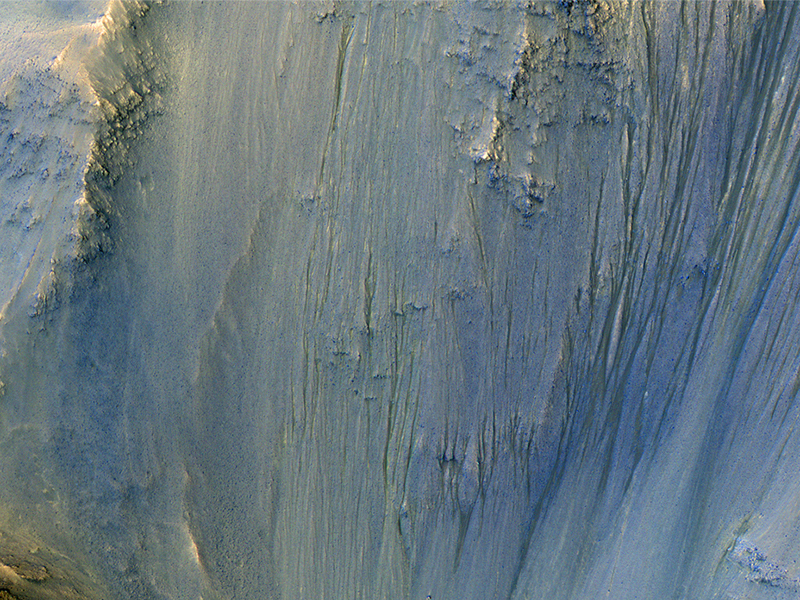 This image was acquired in Ius Chasma, a major section of the western portion of the giant Valles Marineris trough. 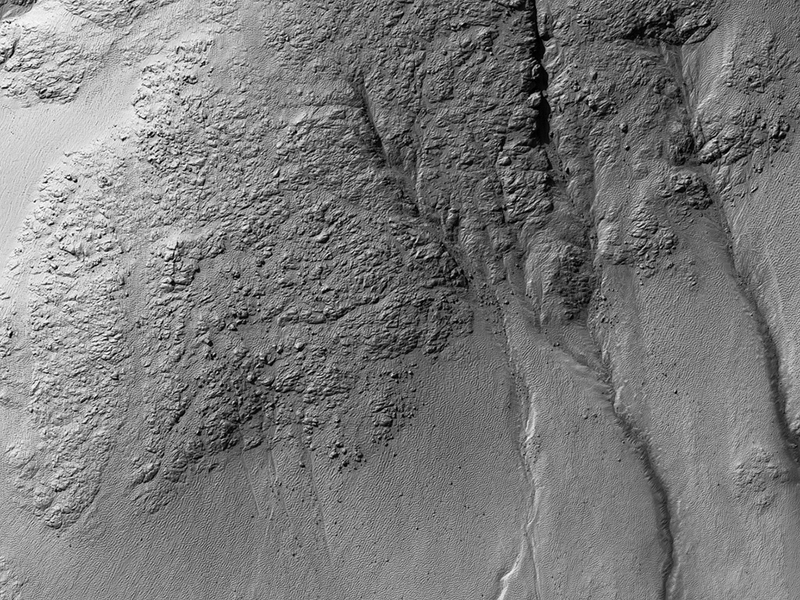 We see a portion of a steep slope with gullies extending downhill (towards bottom of image). 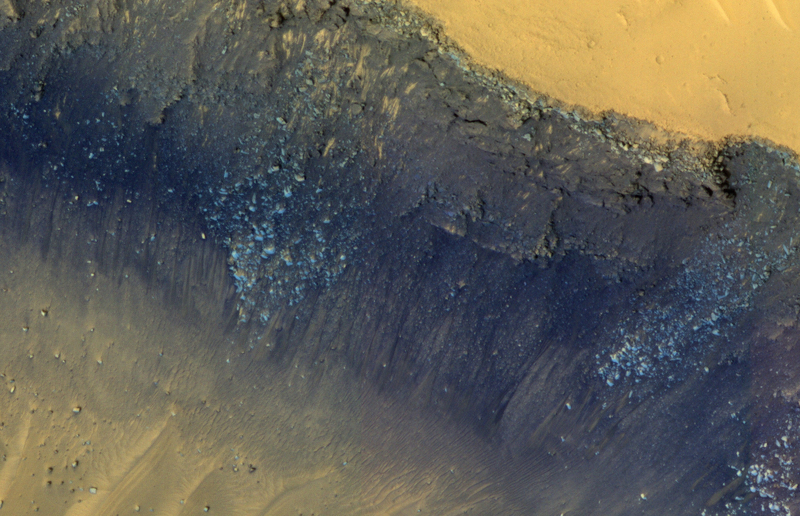 Many of the gully floors are dark, and in some places that dark material extends onto the fan-shaped deposits of the gullies. 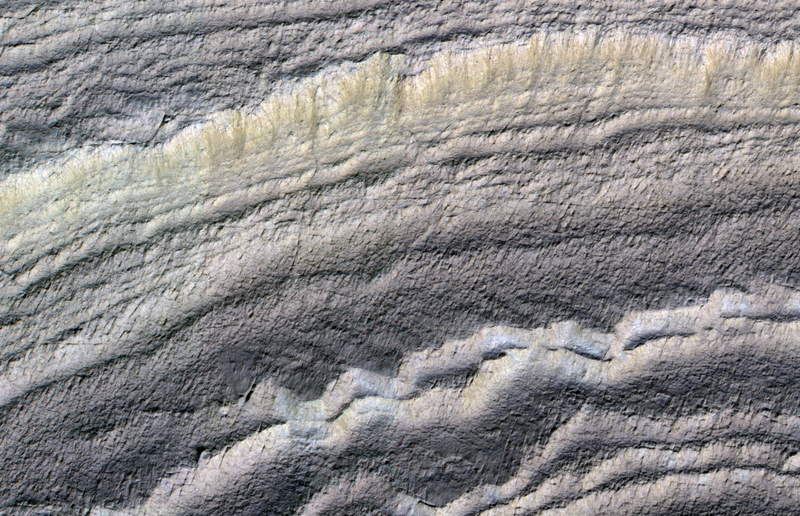 These dark features are candidates for recurring slope lineae (RSL), which are seasonal features that grow incrementally. 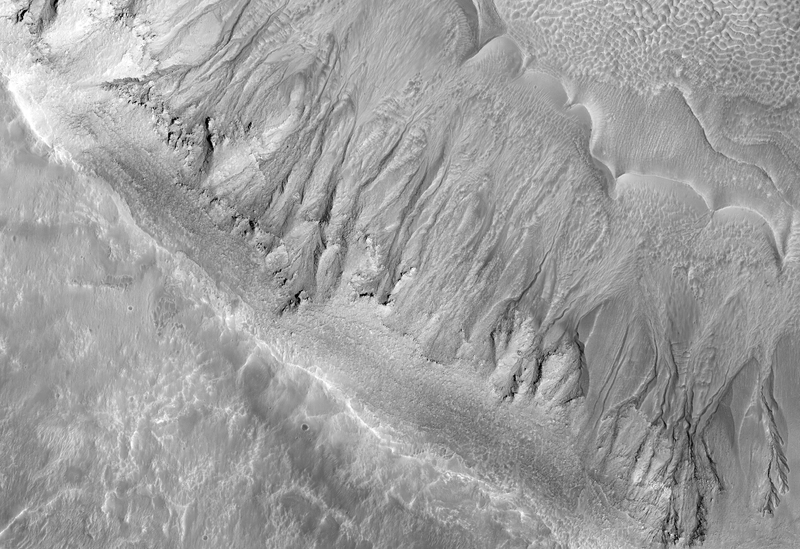 The relation between RSL and gullies is not clear: does the RSL activity carve the gullies, or do they simply follow the gully topography created by other processes? 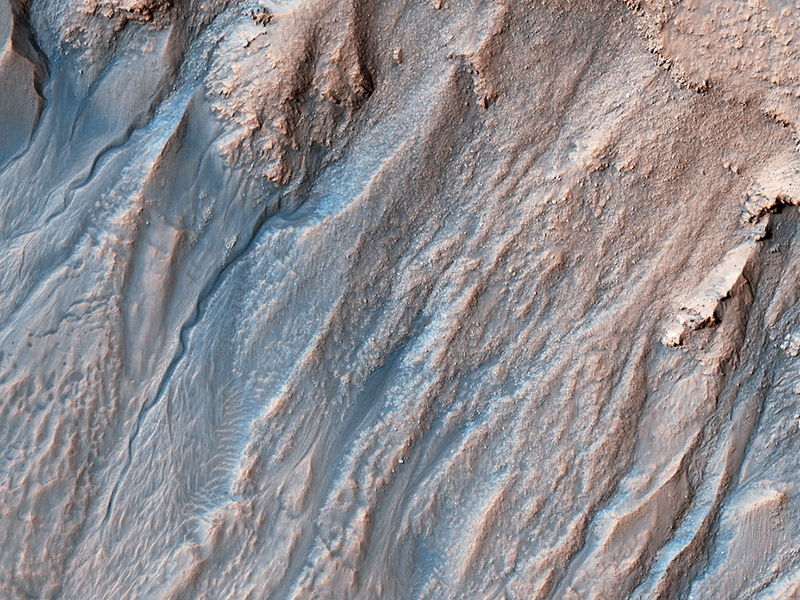 Another closeup from this observation shows part of the floor of Ius Chasma, with layered bedrock draped by dunes. 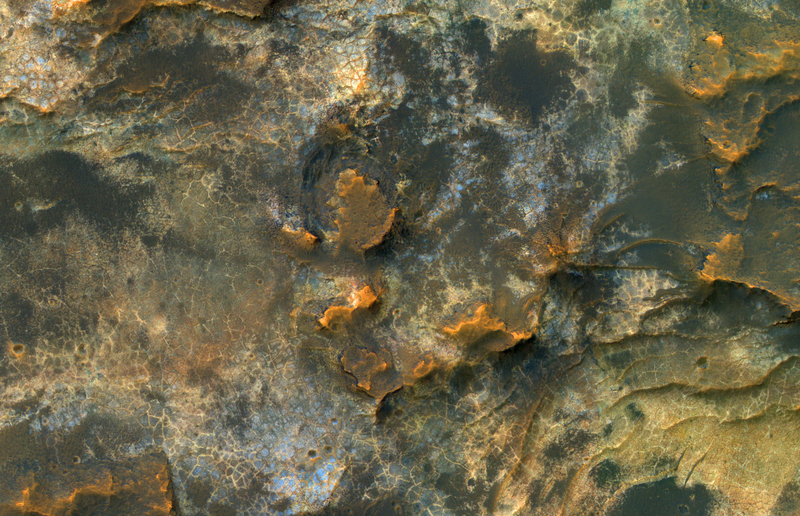 Of particular interest are bedrock outcrops and associated fine-grained sediments with different colors. 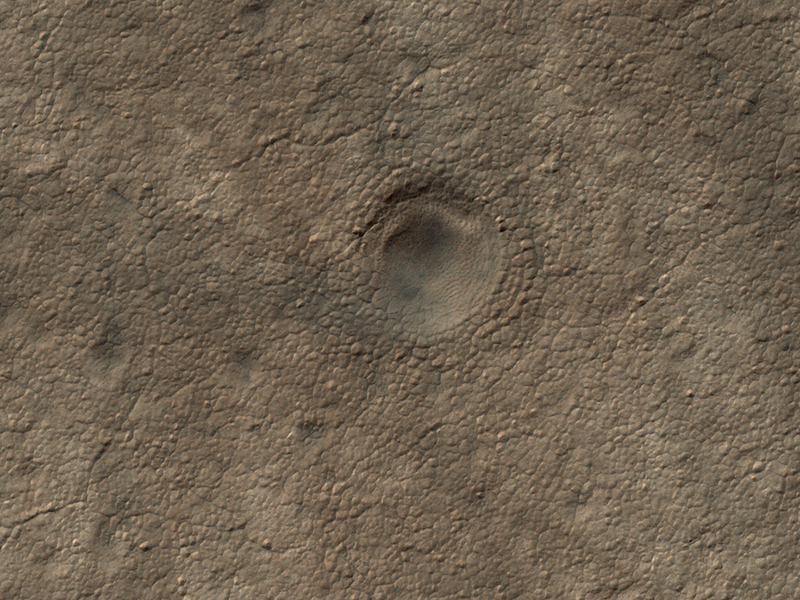 This 153-kilometer diameter crater was named after American astronomer George Ellery Hale. 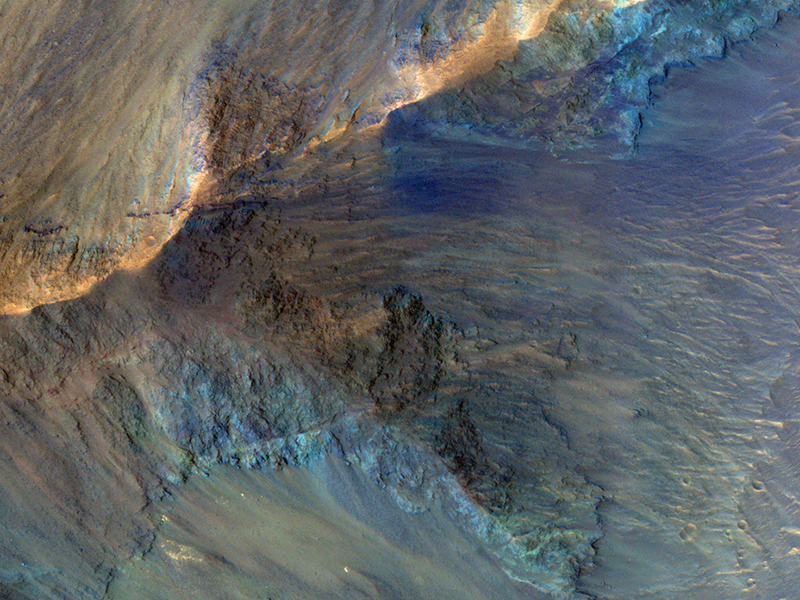 This image captures some of the geologic diversity of Mars. 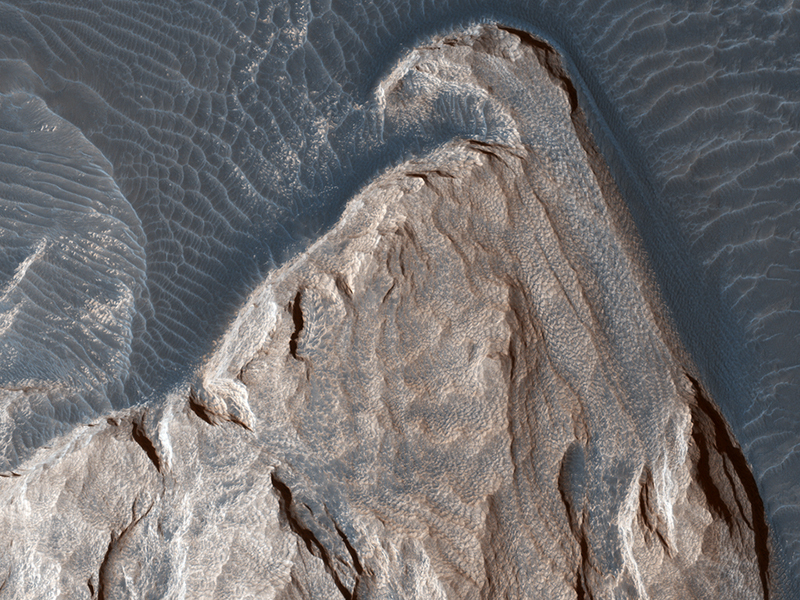 There are hills of ancient terrains on the floor of Juventae Chasma, surrounded by younger sediments, including dark sand sheets and dunes that are likely active today. 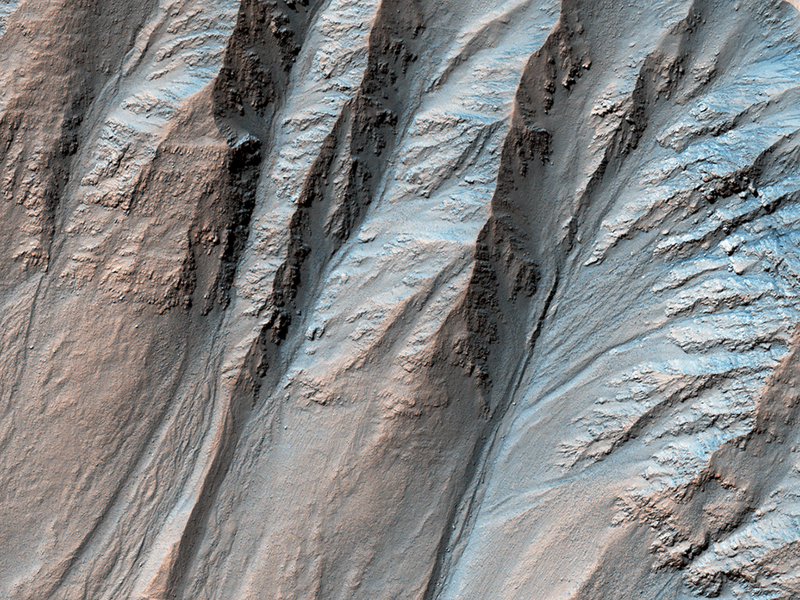 The hills are heavily eroded by landslides, forming gullies in some places. 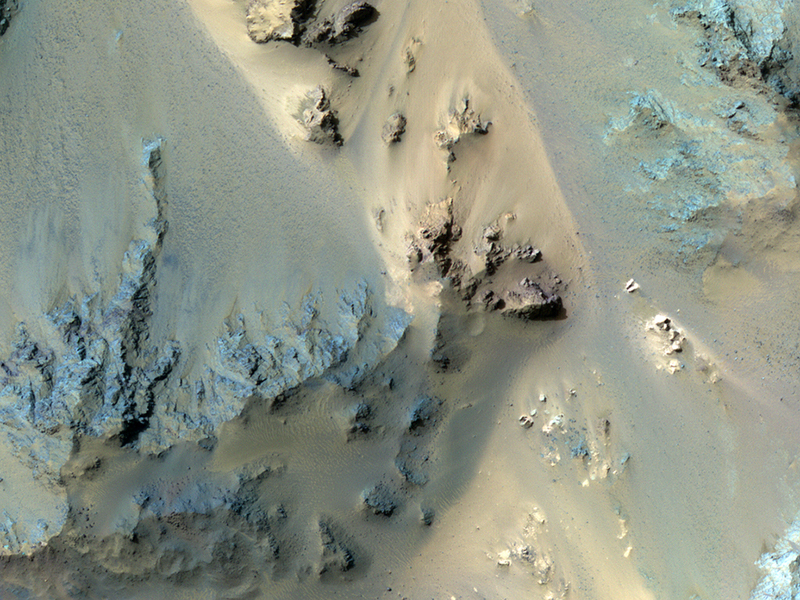 Diverse colors represent unaltered volcanic minerals (blue and green) and altered minerals (brighter and reddish colors). 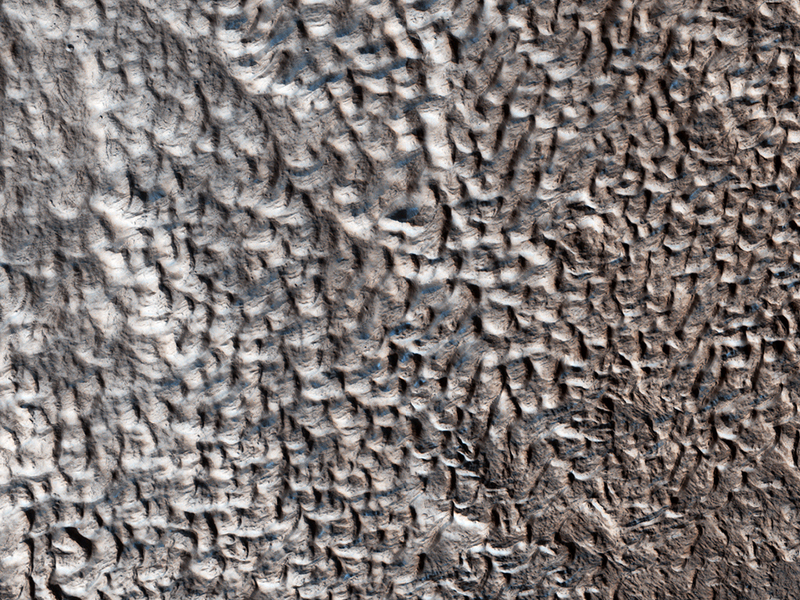 This gap allowed for additional loss of frost that might make the surface darker, but there are also year-to-year changes. 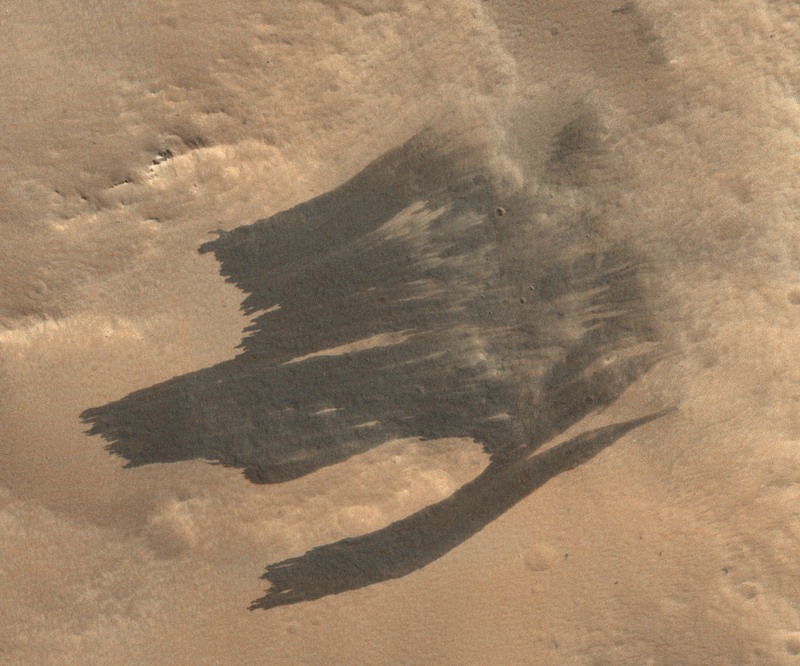 In particular, there was a near-global dust storm in the summer of 2018 and late southern spring on Mars, and extra deposits of dust would have warmed the surface and promoted even more disappearance of the frost. 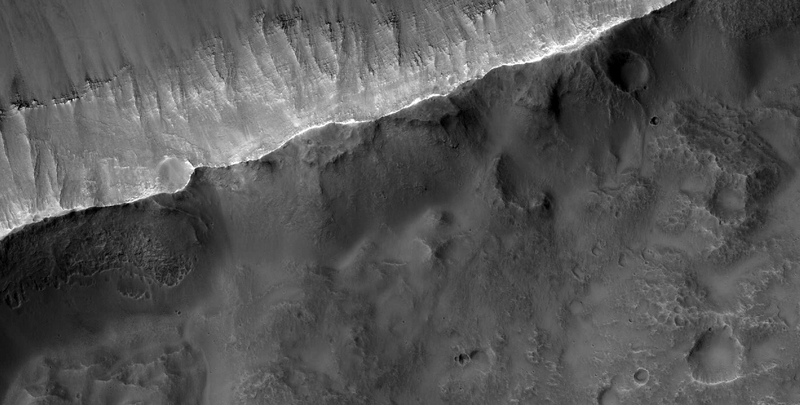 HiRISE reveals small-scale shapes that often correlate with mineral units and provides information about stratigraphy (i.e., what’s on top and relative ages). 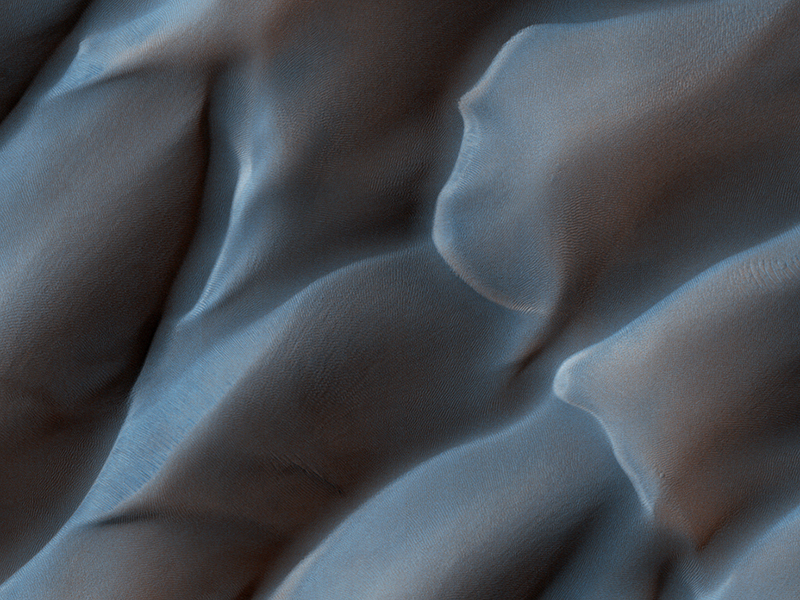 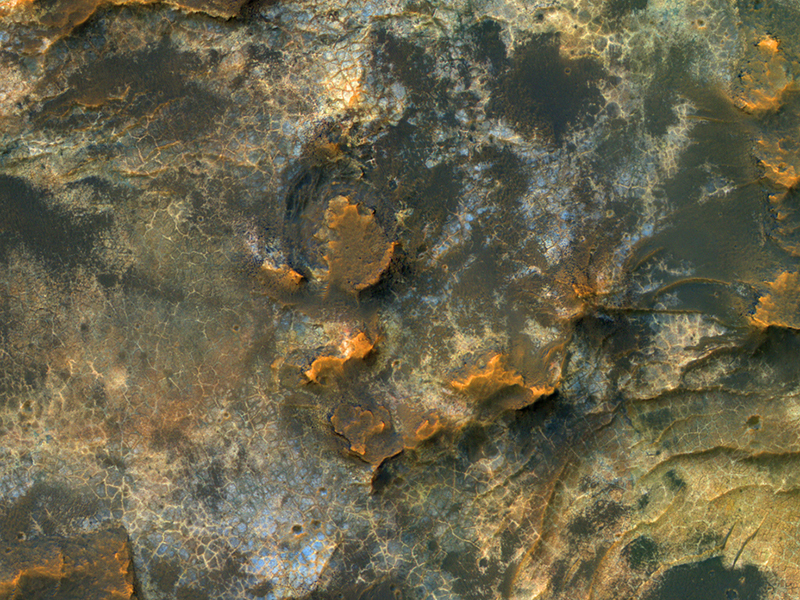 This image was acquired for co-analysis with a spectrometer instrument also on our spacecraft called CRISM (Compact Reconnaissance Imaging Spectrometer for Mars). 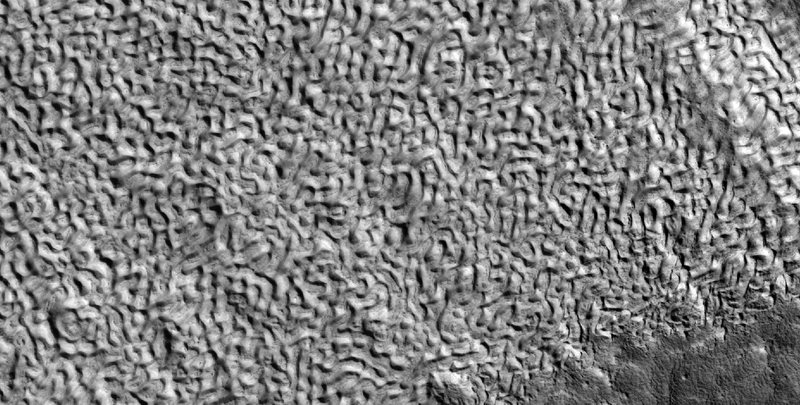 It shows polygonal units that match clay-rich areas. 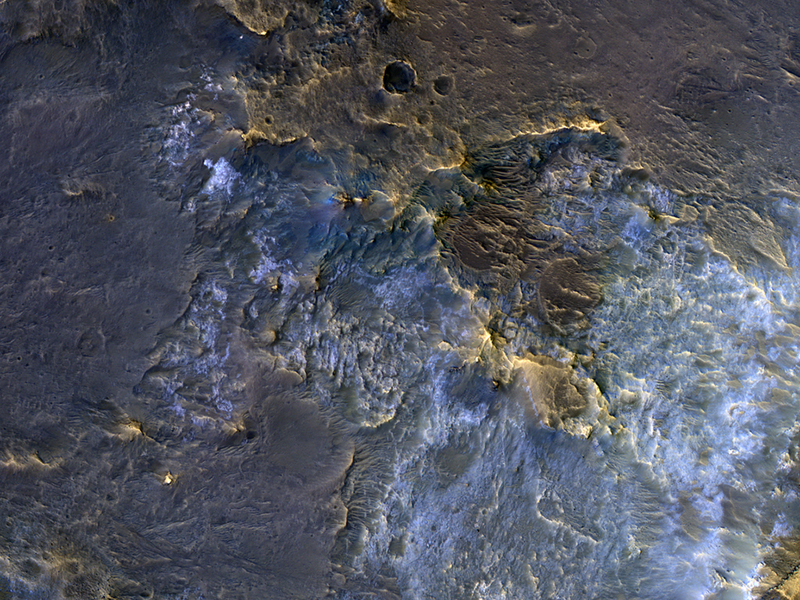 Plus, this region is colorful! 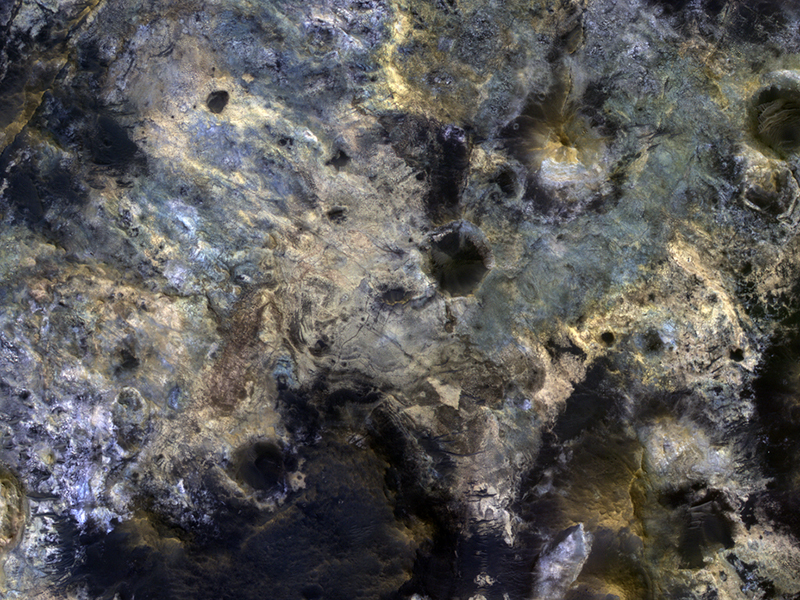 This location, in Eridania Basin, was the site of an ancient lake, so these clay-rich sediments may have been habitable. 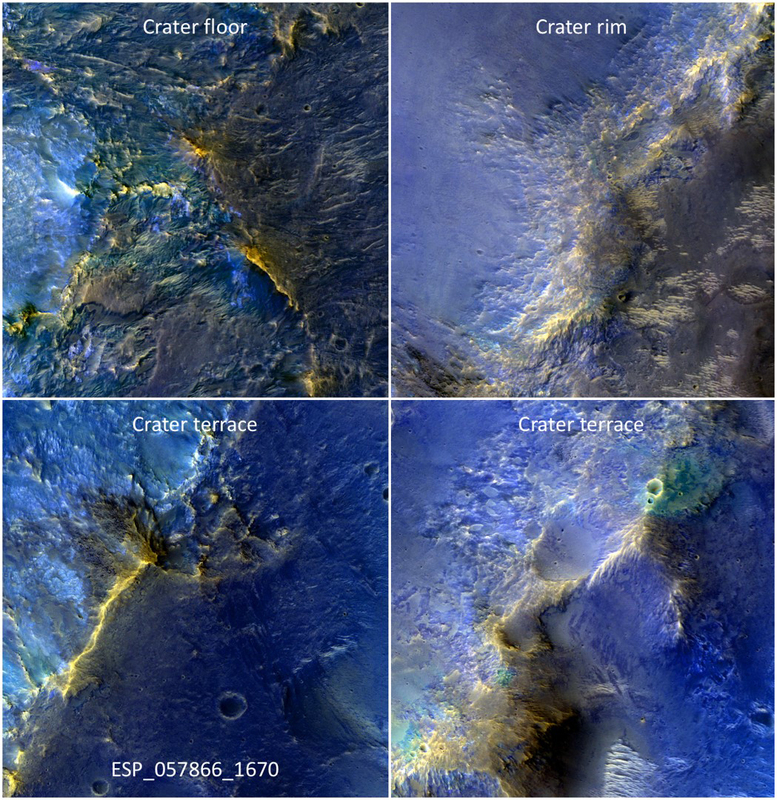 While CRISM cannot acquire new data from their infrared channel due to lack of cooling, they have acquired much previous data that lacks HiRISE coverage. 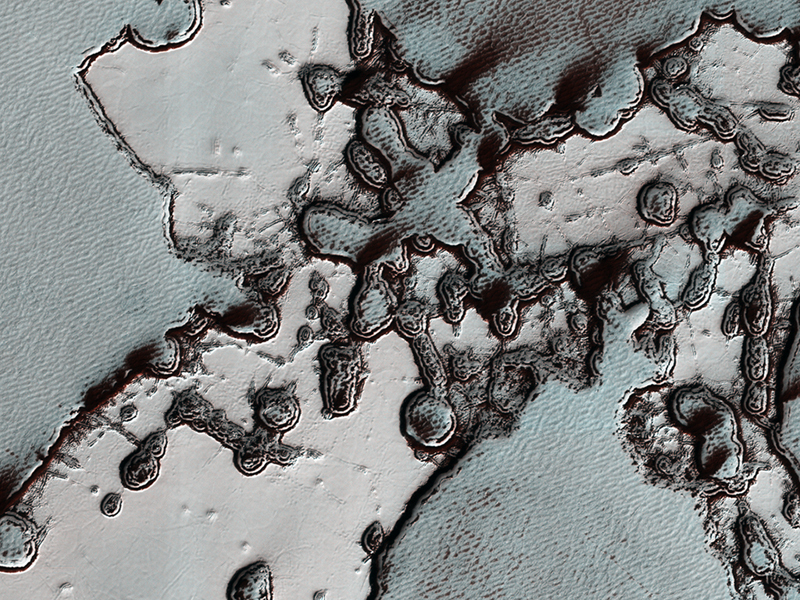 This image is part of a campaign to image potential impact craters in the south polar layered deposits (ice cap). 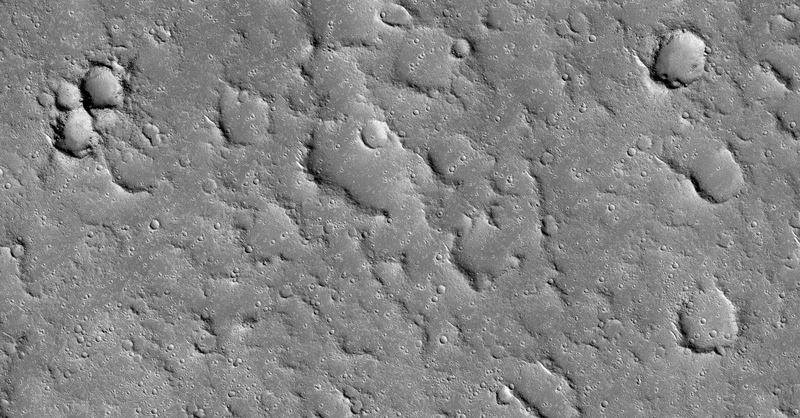 This feature looks like a strong candidate for an impact crater because it is very circular are still has a raised rim. 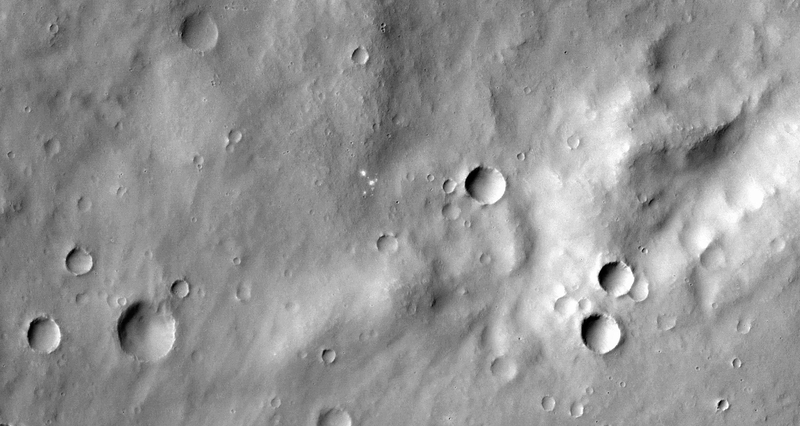 The sizes and densities of impact craters provide an estimate for the age of the landscape, which in turn provides a minimum age for the icy layers.